The compact digital clock radio UR170SW from Soundmaster features an impressive speaker built into the top of the housing with a maximum output of 10 watts PMPO. The radio is equipped with a dual alarm which can sound with either radio or buzzer. 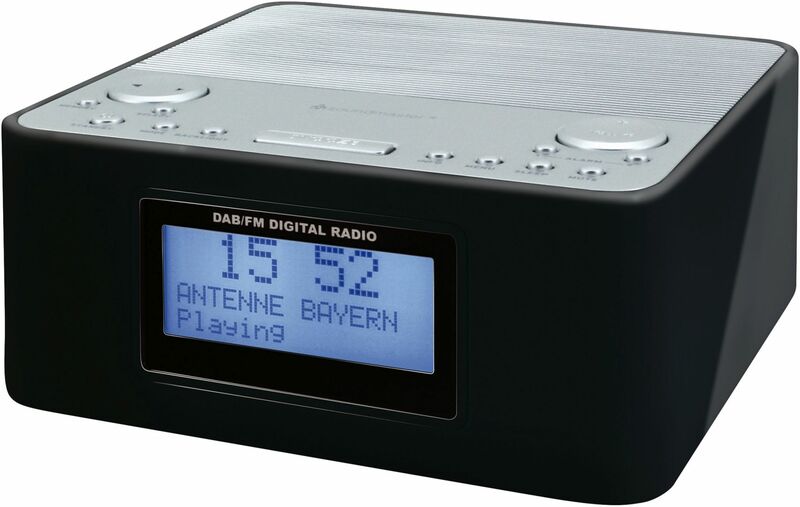 Along with PLL FM, the digital clock radio can also receive DAB+ stations. With the integrated station presets, you can save your favorite stations with the touch of a button. The device is also available in white (UR170WE).